Bankchart.us has surveyed the terms of the offered secured car loans for purchase of a new car for 5 years in the national currency. Our website's analysts have studied the loan offers from 20 most popular US banks, which place rates on their websites. Bankchart.us has surveyed the terms of the offered low rate credit cards in the national currency. Our website's analysts have studied the loan offers from 20 most popular US banks, which place rates on their websites. Bankchart.us has surveyed the terms of the offered low fee credit cards in the national currency. Our website's analysts have studied the loan offers from 20 most popular US banks, which place rates on their websites. Bankchart.us has surveyed the terms of the offered cash back credit cards in the national currency. Our website's analysts have studied the loan offers from 20 most popular US banks, which place rates on their websites. Bankchart.us has surveyed the terms of the offered balance transfer credit cards in the national currency. Our website's analysts have studied the loan offers from 20 most popular US banks, which place rates on their websites. Bankchart.us has surveyed the terms of cd / term deposits for 3 years in the national currency. The survey covered all the deposits with any form of interests repayment, regardless of the replenishment option or the deposit partial withdrawal option. Our website's analysts have studied the loan offers from 20 most popular US banks, which place rates on their websites. Bankchart.us has surveyed the terms of cd / term deposits for 1 year in the national currency. The survey covered all the deposits with any form of interests repayment, regardless of the replenishment option or the deposit partial withdrawal option. Our website's analysts have studied the loan offers from 20 most popular US banks, which place rates on their websites. Bankchart.us has surveyed the terms of savings accounts for termless in the national currency. The survey covered all the deposits with any form of interests repayment, regardless of the replenishment option or the deposit partial withdrawal option. Our website's analysts have studied the loan offers from 20 most popular US banks, which place rates on their websites. Bankchart.us has surveyed the terms of cd / term deposits for 3 months in the national currency. The survey covered all the deposits with any form of interests repayment, regardless of the replenishment option or the deposit partial withdrawal option. Our website's analysts have studied the loan offers from 20 most popular US banks, which place rates on their websites. Bankchart.us has surveyed the terms of the offered business reward credit cards in the national currency. Our website's analysts have studied the loan offers from 20 most popular US banks, which place rates on their websites. Bankchart.us has surveyed the terms of the offered business low rate credit cards in the national currency. Our website's analysts have studied the loan offers from 20 most popular US banks, which place rates on their websites. Bankchart.us has surveyed the terms of the offered business low fee credit cards in the national currency. Our website's analysts have studied the loan offers from 20 most popular US banks, which place rates on their websites. Bankchart.us has surveyed the terms of the offered business cash back credit cards in the national currency. Our website's analysts have studied the loan offers from 20 most popular US banks, which place rates on their websites. 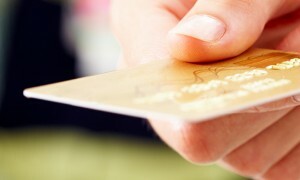 Bankchart.us has surveyed the terms of the offered business travel credit cards in the national currency. Our website's analysts have studied the loan offers from 20 most popular US banks, which place rates on their websites. Bankchart.us has surveyed the terms of the offered business balance transfer credit cards in the national currency. Our website's analysts have studied the loan offers from 20 most popular US banks, which place rates on their websites.